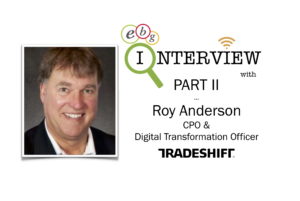 There is an interesting discrepancy between knowing how efficient and effective a large business can become if transforming it – and being able to realize it. 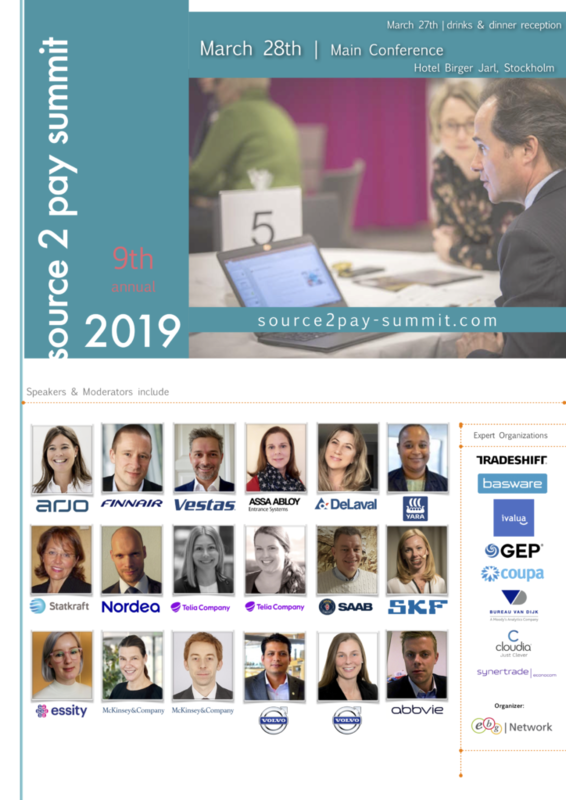 EBG | Network have always taken an interest in that discrepancy and Source 2 Pay Summit take a look at and offer open discussions about those aspect you may or may not have considered when deciding to transform your business. 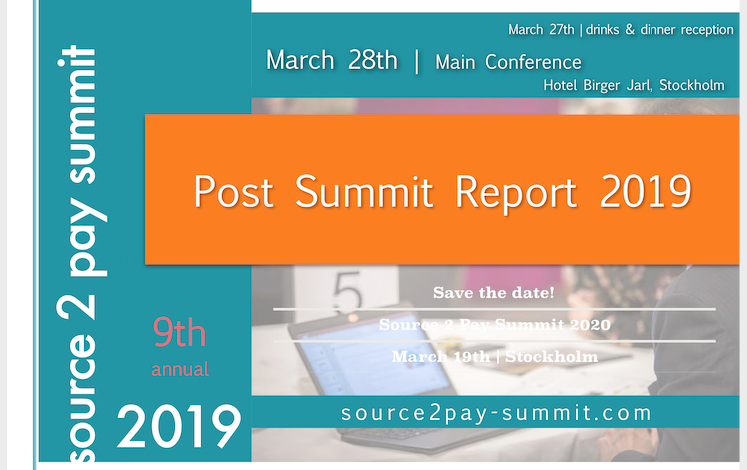 EBG are thrilled to welcome the end-to-end perspective from Telia Company joining Source 2 Pay Summit 2019, March 28th in Stockholm. 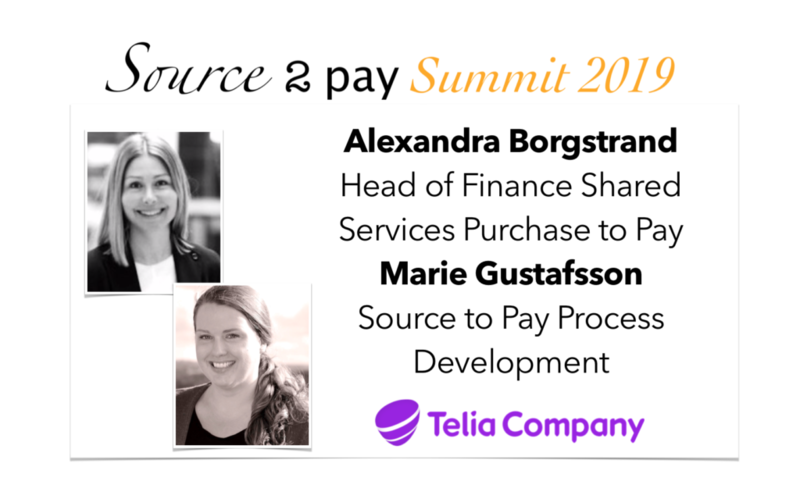 Alexandra Borgstrand, Head of Finance Shared Services Purchase to Pay and Marie Gustafsson, Source to Pay Process Development are joining us and invite You to join their Theme Discussions. 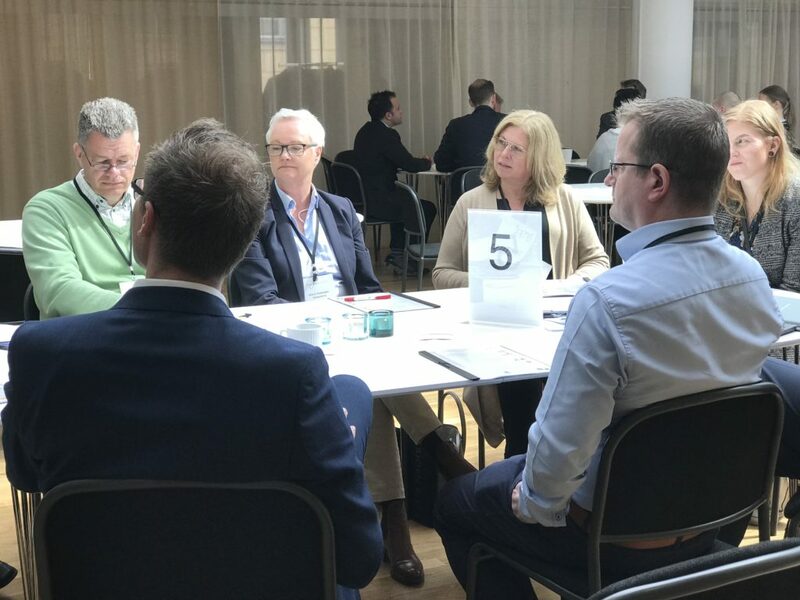 Benchmark highlight that there are no easy answers or a simple “to do” hand book outcome from this session – Telia Company invite you to draw from their experiences and for you to share yours. What could the outcome of that be? Magic we think! What about “being productive or continuous improvement”? All companies have their here and now. At the same time a lot of focus and energy is spent on what will be. So how do you combine the two? 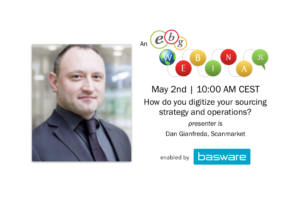 Especially if continuous improvement mean asking people to basically rationalize their own tasks – something that happens today when looking into technologies such as RPA (robotic process automation) for instance. 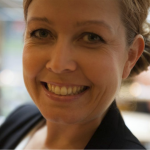 Telia Company – like many other companies – have gone through and are going through major shifts in ways of working, organizing, setting up processes, improving efficiency and proving the effect. Are they finished? Of course not – first no one ever is second change take time. This will be a couple of great sessions – they will be fully booked – you register >>here to ensure You can choose the sessions You want to join. When TeliaSonera was founded, it was the first time two previous incumbents in two EU countries merged. Historically however, the companies had already worked together on a number of different projects and complemented each other in various ways. 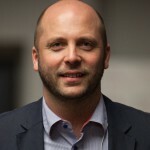 Telia Company is the fifth largest telecom operator in Europe today and continues building on its pioneering spirit and high technology expertise within both fixed and mobile communications inherited from its predecessors. From Norway to Turkey, we are present in, Denmark, Estonia, Finland, Kazakhstan, Latvia, Lithuania, Moldova, Norway, Sweden, Turkey and Uzbekistan. 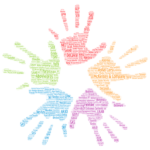 We always ask what takeaways participants bring back from spending time at our conferences. In 2018 we got – among many other – these responses that we feel mirror our ambitions. To hear success stories and failures from other businesses and get a new perspective on things. 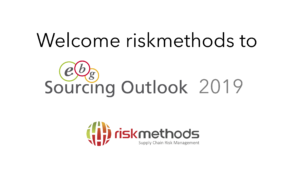 Since we as a company are working with a fairly focused area of the sourcing chain activities, it was great to hear and gather knowledge on the more broader spectrum.Understanding the general processes a bit more will also make it easier to relate and bring more value to the table. 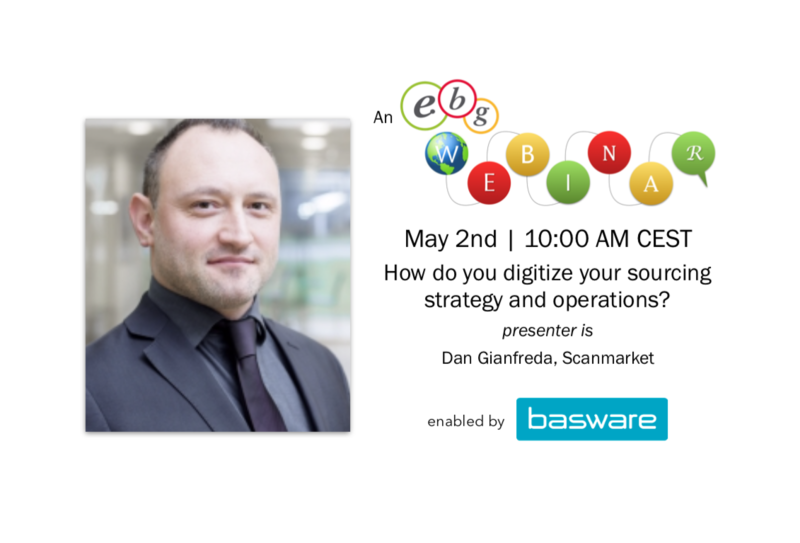 There are great potential within digitization but it is important to have taken care of your basic processes before taking the next step. Important to recruit the right talent. 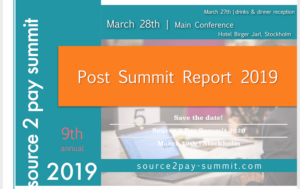 Learnings do´s and don’t´s implementing a new P2P system, exp.sharing that even though we work in different org/companies, we still experience same challenges! 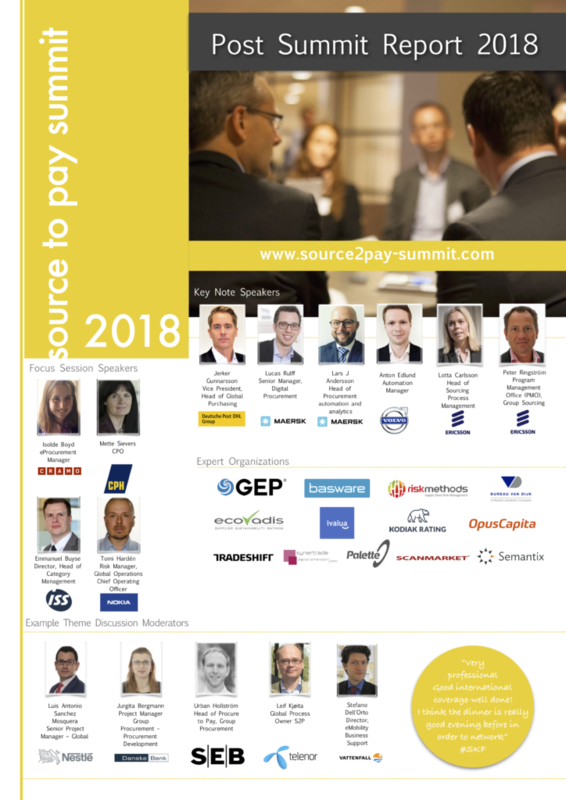 The lessons learned from other organizations experiences with source to pay and purchase to pay and what steps need to be taken. 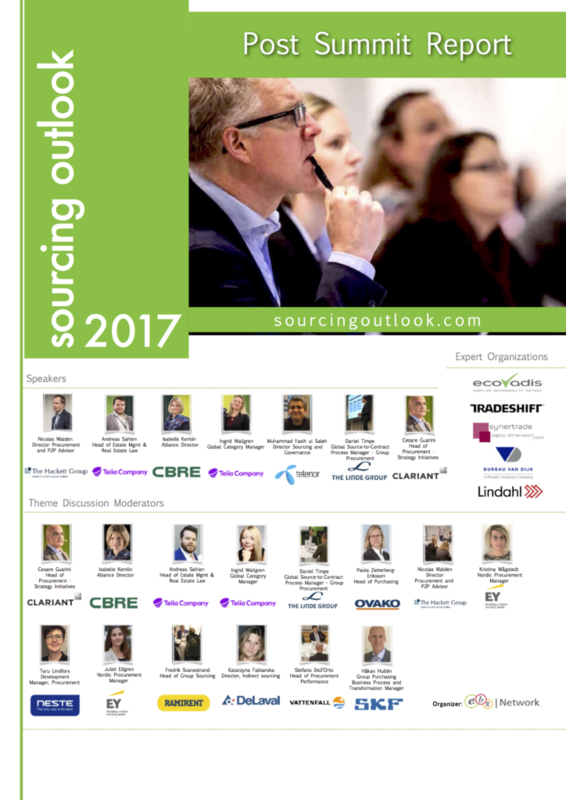 It was also valuable to have vendors at the summit, without discussions becoming a sales pitch. 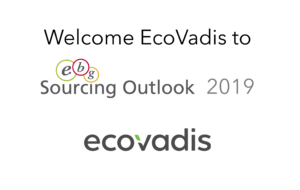 EBG are not a conference company nor act as consultants – we believe in running a business based on bringing experiences together focusing on sourcing, procurement and finance perspectives on business development. As simple and hard like that.